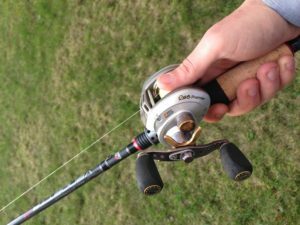 With a baitcaster reel the line peels straight off the drum in the direction of cast. 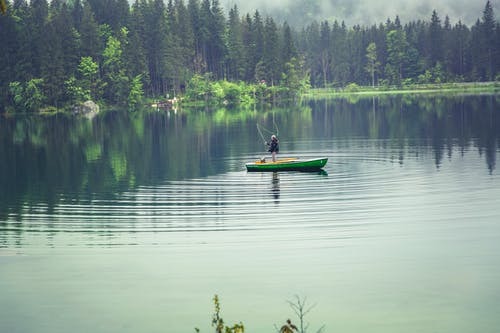 You are an avid fisherman who loves bonding with nature. And there is not a better way to get in sync with the great outdoors than fishing. You also want to show your kids what a great past time in this sport can be. 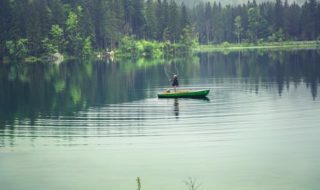 While your children see the fun in it, you also know that there are some techniques that must be done in order to catch the best and biggest fish. One of these techniques is understanding how to bait cast long distances to get your line out there where the fish might be biting. For those who are more used to fixed spool reels with a bale arm , baitcasting involves the use of a small multiplier reel with the line peeling directly off the drum in the direction of cast and the thumb used to slow the bait down and stop it short of snags, as well as to prevent over-runs and tangles. This article will cover 5 baitcasting tips for longer and more accurate casting of lures…. This is one of the most common techniques used by anglers who use baitcasting reels. Make sure that you understand to be careful with the way you hold your hook. Your hand should be on the back of the hook that is used for your lure. This prevents the hook from getting into the skin where it can cause severe pain and infection. The shooting techniques involve you holding your rod in your dominant hand. Lower your lure half the distance between your rod and reel. Bring the rod down and pull towards your chest area. Your finger will be controlling your line and its tension. Point in a downward motion while aiming your rod. 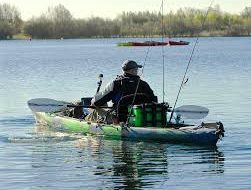 Once the lure is in the water, remember to bend as low as possible to ensure that the lure is appropriately in the water to bait the fish to strike. This is a baitcaster technique that gives you more power than the other fishing techniques explained here. It also teaches you how important it is to be accurate in throwing out your fishing line. It involves holding down the baitcaster with your thumb while bringing your rod overhead for a stronger cast. You will need to know where you want your lure to land and shoot for that area. As your rod and fishing line comes forward, take your thumb off the baitcaster. 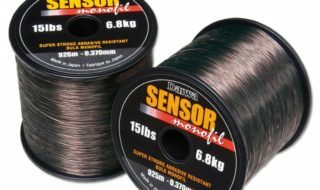 This will allow more spool of line while releasing the tension on your line. Once the line has been thrown and the lure is in the water, press the button on your baitcaster again to slow the spooling of the line and get the tension on your fishing line again. Using the right fishing rods will give you the kind of power and accuracy that you will need. You may use these rods for incredible casts with great distance. Accuracy, power and a great fishing rod are the names of the game for the overhead baitcaster technique. This is a great baitcaster technique that works well for fishing up close and personal. Hold your rod with your dominant hand with your finger on your baitcaster. Use your other hand to handle your lure and hook. The lure should be half the distance between the rod and your fishing reel. As you are holding the lure, pitch it ever so gently into the water. Loosen the baitcaster by taking your thumb off the drum for a short time period to allow more spool of line to be released. Once the lure is in the water, hold the button down again to slow down your spool. Remember when you pitch the lure into the water to keep splashing to a minimum. This will only scare off the fish that you want to lure in for a strike. The flipping technique is a great baitcaster technique to throw a long distance line and bait more fish. You will need a lot of slack line for this method so make sure that you have enough line between you and your chosen target. Keep your hand on the baitcaster as to not allow too much line to be thrown out. Begin a swinging motion on your line without releasing the baitcaster. When the lure hits the water, jiggle the line and continue the swinging motion for an effective strike. The slack in the line can give you a longer distance allowed for you to go after the fish in the middle of your area. This is usually where you will get the biggest and best fish of the day. The sidearm baitcaster technique is one that can be used on a windy day. If the weather is less than warm and sunny, then this may be the one to use for baitcasting, luring and catching your fish. The sidearm techniques involves you bringing your rod and reel down by your side and performing a looping of the rod through simulating a beginning to a batting swing. The sidearm technique will cut down on the wind affecting your rod, reel and baitcaster and spool/drum. Using a looping swinging motion, toss your lure into the water while holding your thumb on your baitcaster for a nice tight line. This is a technique that will probably need to be practiced before heading out on your fishing excursion. You may want to practice at home the sidearm looping and swinging motion to become more comfortable, before you really have to use it. These are some of the best fishing techniques for baitcasters and throwing longer distance. As you begin to practice each technique, remember to start off slowly and become comfortable with each step. Take your time with casting the first few times. As you improve, begin to master the technique and throw your fishing line out with confidence and speed. Remember that power, accuracy and the best fishing rods are what works best for each of these techniques. There are also different techniques for different types of weather as well and some techniques that will work well regardless of the weather. Stay low to the ground while using each of these techniques and remember to keep splashing to a minimum. Loud noises and splashing will only frighten the fish and scare them away from your lure.